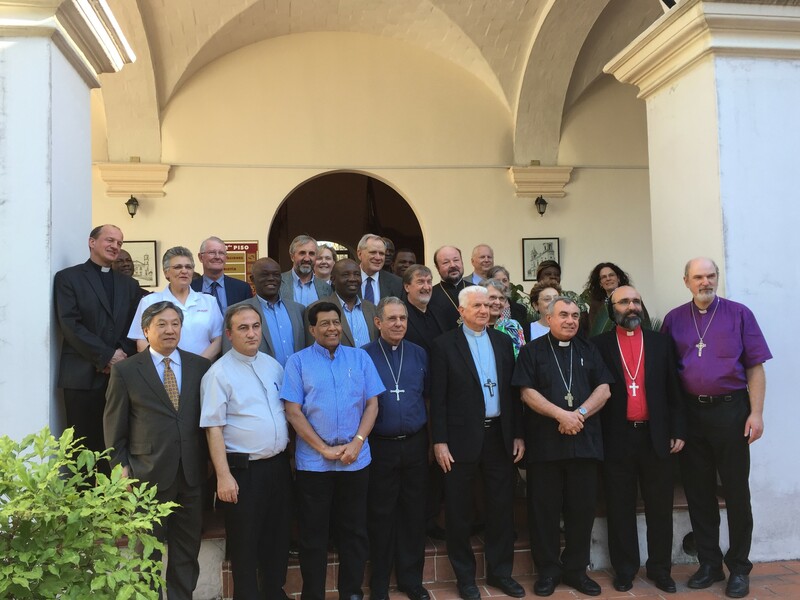 The Global Christian Forum (GCF) Committee comprising high-level leaders and representatives from all the major streams of world Christianity met together at Casa Sacerdotal, Havana, Cuba from 21-23 March 2017 for the annual committee meeting. The leaders and representatives from the Catholic Church, the Pentecostal World Fellowship, the World Evangelical Alliance, the World Council of Churches, and the Global Christian Forum met to review and discuss update reports on key global initiatives and common challenges for the year as well as to plan for the Third Global Gathering. Dr Prince Guneratnam, Chairman of the Pentecostal World Fellowship (PWF), who serves as an Executive Committee member on the GCF since 2008 represented the Pentecostal worldwide movement and express greetings on behalf of the PWF. At that meeting, it was affirmed that the city of Bogotá, the capital of Colombia in South America, will be the location for the Global Christian Forum’s next Global Gathering from April 23 (arrival) - 28 (departure), 2018. It is the third global gathering in the history of the Global Christian Forum, one of the world’s most diverse global Christian 'spaces', in which at least six streams of world Christianity meet. It will be the first GCF global gathering to take place on the South American continent and the first in a Spanish-speaking nation. Previous global gatherings were held in Africa (Kenya, 2007) and Asia (Indonesia, 2011). The theme of the four-day conference will be, ‘Let mutual love continue’, a quote from the New Testament book of Hebrews (13:1). Participation in Forum events is shaped by a series of balances – especially that of a 50:50 ratio between leaders of 'older' churches (Catholic, Orthodox, Protestant) and those of 'younger' churches (Evangelical, Pentecostal, Independent). It is expected that the gathering will include some 250 church leaders, reflecting the breadth of world Christianity. Leadership of the four global bodies that are key ‘pillars’ of the Global Christian Forum - the Pentecostal World Fellowship, the Pontifical Council for Promoting Christian Unity (Vatican), the World Council of Churches, and the World Evangelical Alliance will be present, alongside leaders of many other world churches and international Christian organisations. The GCF will begin issuing invitations to the gathering in July and August. Invitations are based upon recommendations from global churches and communions as well as international and regional church-related organisations. Invitations will be addressed also to some of those who have participated in national Christian forums or in previous GCF gatherings and conversations, including the 2015 global consultation 'Discrimination, Persecution, Martyrdom: Following Christ Together' and the current initiative 'Call to Mission, Perceptions of Proselytism: A Global Conversation'. At least 50 per-cent of those attending will be new participants. Secretary of the Global Christian Forum, Revd Dr Larry Miller, said the Third Global Gathering offers a unique platform for exchange between leaders at a significant time in world Christianity: “The GCF is a ’forum’, a place for leaders from across the spectrum of Christianity globally to meet for inspiration and insight on matters of common interest as they face the future together.